Updated to here! ------------------------------ Messages for users with September birthdays have been sent. ------------------------------ FAstudent12, your 3 gifts have been added. Thank you for gifting! sylviamaris, your 4 gifts have been added. Thank you for gifting! Terrafreaky, your 2 gifts have been added. Thank you for gifting! velvet_paw, your 2 gifts have been added. Thank you for gifting! FAstudent12, your wish list has been updated. Happy early birthday! Dirtytabs, your gift has been added. Wolfarick, your gift has been added. Thank you for gifting! Icoria, your wish list has been added. Happy belated birthday! Terces, your wish list has been updated. Happy early birthday! Terces, your 3 gifts have been added. Thank you for gifting! rinoa26, your 2 gifts have been added. Thank you for gifting! WWECornSerpent, your 3 gifts have been added. Thank you for gifting! Updated to here! ------------------------------ Syryn, your 7 gifts have been added. Thank you for gifting! Dirtytabs, your 2 gifts have been added. Nessj, your gift has been added. Thank you for gifting! IOU, your 3 gifts have been added. Thank you for gifting! Wolfarick, your 3 gifts have been added. Thank you for gifting! Terrafreaky, your gift has been added. Thank you for gifting! Updated to here! ------------------------------ Dirtytabs, your 5 gifts have been added. BelzahTheDragonTaur, your wish list has been added. Happy early birthday! Syryn, your 5 gifts have been added. Thank you for gifting! WWECornSerpent, your 10 gifts have been added. Thank you for gifting! CrazyChess, your wish list has been updated. Happy early birthday! EternallyShadow, your wish list has been added. Happy early birthday! Varislapsi, your wish list has been added. Happy belated birthday! Wolfarick, your wish list has been added. Happy early birthday! Elennilda, your gift has been added. Thank you for gifting! Nessj, your 6 gifts have been added. Thank you for gifting! LunarMoonlite, your gift has been added. Thank you for gifting! Flamekitty48, your wish list has been added. Confirmed that it's "with Holidays". Happy early birthday! Updated to here! ------------------------------ WWECornSerpent, your wish list has been updated. Happy early birthday! Sapphire Ryu, your wish list has been updated. Happy early birthday! Updated to here! ------------------------------ PMs for users with August birthdays have been sent. Thanks for your feedback about the tiers. Among other changes, CB aeon wyverns have been added to tier 2; almandine and spessartine pyralspites were moved from 1 to 2; and "alts" in tier 2 was changed to specifically mean CB red dorsals, CB tan ridgewings, alt blacks, and alt undines. All wish lists must adhere to the tiers. You may request the two July releases (scripts and baikala) in any tier, since both seem reasonably common. ------------------------------ WWECornSerpent, your 6 gifts have been added. Thank you for gifting! jcunit, your 2 gifts have been added. Thank you for gifting! Nessj, your 9 gifts have been added. Thank you for gifting! lulu_witch, your wish list has been updated. Happy early birthday! Dirtytabs, your 5 gifts have been added. PhantomoftheWolves, your wish list has been updated. Happy early birthday! FAstudent12, your 2 gifts have been added. Thank you for gifting! Updated to here! ------------------------------ Still working formatting and colors out. Since we don't closely track number of gifts donors have given, name changes are no big deal. 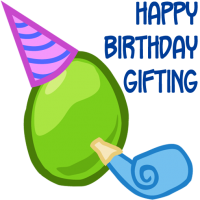 If you WOULD like to count your gifts and have changed your name, please let us know and we'll edit the gifts given spreadsheet. Recipients, if you change your forum name, please mention what your old name was to prevent confusion. ------------------------------ WWECornSerpent, your 4 gifts have been added. Thank you for gifting! Sunstar23, your 3 gifts have been added. Your generosity is appreciated! Shuuichi, your wish list has been updated. Happy early birthday! Dirtytabs, your 6 gifts have been added. Nessj (formerly Lady AxioMara), your 8 gifts have been added. Thank you for gifting! sylviamaris, your gift has been added. Thank you for gifting! Ellenai, your 2 gifts have been added. Thank you for gifting! ZiggyStardust, your wish list has been added. Happy late/very early birthday! spencersmith, your wish list has been added. Happy early birthday! jcunit, your 4 gifts have been added. Thank you for gifting! Lancepenn2009, your wish list has been denied. Please read the rules and resubmit. Updated to here! ------------------------------ Please post or PM this account if you find anything broken, e.g. any forum links that no longer work. I apologize for the formatting in this post and the birthday post. ------------------------------ lolahighwind, your list has been updated. Happy early birthday! Dirtytabs, your 2 gifts have been added. Coyote, your list has been updated. Happy early birthday! Kovia, your list has been added. Happy belated birthday! Lady AxioMara, your 2 gifts have been added. Thank you for gifting! jcunit, your gift has been added. Thank you for gifting! driveshaft0613, your list has been updated. Happy early birthday! Updated to here! ------------------------------ PMs for users with July birthdays have been sent. ------------------------------ WWECornSerpent, your gift has been added. Thank you for gifting! Sorry about the no response. Iside, your gift has been added. Thank you for gifting! Lady AxioMara, your 2 gifts have been added. Thank you for gifting! SallyPuddy, your wishlist has been added. Happy belated (or very early) birthday! Dirtytabs, your gift has been added. banban007, your wishlist has been updated. Happy early birthday! Updated to here! ------------------------------ Re: March release, the rarity of tetras and fire gems can't be determined yet. They'll remain off the top two tiers for now. If there's anything that should or shouldn't be on a certain tier, please let me know. ------------------------------ Dirtytabs, your 5 gifts have been added. irrelevantindigo, your wishlist has been added. (I rearranged your list a little to roughly follow the tiers. Everything is still there.) Happy early birthday! OrcaFreak, your gift has been added. Thank you for gifting! Seahorse, your wishlist has been added. Happy early birthday! Seahorse, your gift has been added. Thank you for gifting! 20mia08, your wishlist has been added. Happy belated birthday! Gealach, your gift has been added. Thank you for gifting! The Dragoness, your gift has been added. Thank you for gifting! Aie, your wishlist has been added. Happy early birthday! Terces, your 3 gifts have been added. Thank you for gifting! sylviamaris, your gift has been added. Thank you for gifting! Terrafreaky, your gift has been added. Thank you for gifting! Shadowheart11, your wishlist has been added. Happy belated birthday! radoxin, your wishlist has been added. Happy early birthday! NightAssassin, your wishlist has been added. Happy early birthday! ------------------------------ Additional April birthdays 20mia08 10th PM In exams - may be a delay in response 2nd Gen Prize/Prizekin Any CB Xeno 2nd gen Aria from male Frill x Aria 2nd gen from Tanager x Non-Holiday BSA hatchies Any pretty checker (3rd gen) with no holidays Shadowheart11 13th PMCheese Any Dino Magma Thunder Vampire Red Aie 19th PMCB Gold 3G White from checker with male Hollies, unrelated to YTRbi 4G Silver from checker with male Silver Lunars, unrelated to IyJFQ any 2G egg from male Azure Glacewing x female Sunrise, either breed, nicely-named parents preferred Wishlist on profile. Surprise me! Updated to here! ------------------------------ OrcaFreak, your gift has been added. Thank you for gifting! TerraAnne, your wishlist has been added. Happy early birthday! SaphireKat, your wishlist has been added. Happy early birthday! WWECornSerpent, your 3 gifts have been added. Thank you for gifting! MaeTM, your wishlist has been added. Happy early birthday! Dirtytabs, your 6 gifts have been added. C88, your wishlist has been added. Happy early birthday! Terces, your 2 gifts have been added. Thank you for gifting! sylviamaris, your gift has been added. Thank you for gifting! ------------------------------ Additional April birthdays MaeTM 9th PM Almandine Any unbreedable: Surprise me! Aeon Ice Red Surprise me! TerraAnne 15th PM CB gold CB astrapi xenowyrm 3 gen even gen silver from radiant angel not related to my own 5 gen stair step gold shimmer from sunstone dragon, but the stair need to be angled like this / and not \. Anything common or uncommon I don't have a male female CB pair of? SaphireKat 18th PM "Welp, I do have a wishlist linked in my signature so boop: https://forums.dragcave.net/index.php?showt...ry9262793"
Updated to here! ------------------------------ Dirtytabs, your 6 gifts have been added. Jedi40, your 5 gifts have been added. Thank you for gifting! Blueocean, your 3 gifts have been added. Thank you for gifting! WWECornSerpent, your 8 gifts have been added. Thank you for gifting! banban007, your 7 gifts have been added. Thank you for gifting! KaiRen_Everlife, your wishlist has been added. Happy early birthday! cajunsun, your gift has been added. Thank you for gifting! CrazyChess, your wishlist has been added. Happy early birthday! Gealach, your 2 gifts have been added. Thank you for gifting! LemonDragon, your wishlist has been denied. Please reread the rules and resubmit. kiarados, your gift has been added. Thank you for gifting! Terrafreaky, your gift has been added. Thank you for gifting! tjenni, your 5 gifts have been added. Thank you for gifting! Isuzu, your gift has been added. Thank you for gifting! mmdragon, your wishlist has been added. Happy early birthday! IOU, your wishlist has been updated. Happy early birthday! sylviamaris, your wishlist has been added. Happy early birthday! Updated to here! ------------------------------ PMs for users with March birthdays have been sent. ------------------------------ Varekis, your gift has been added. Thank you for gifting! banban07, your gift has been added. Thank you for gifting! Dirtytabs, your gift has been added. WWECornSerpent, your 4 gifts have been added. Thank you for gifting! gigglymonkey12, your gift has been added. Thank you for gifting! predatorfan4ever, your wishlist has been added. Happy early birthday! Jedi40, your 2 gifts have been added. Thank you for gifting! 52gloomysundays, your wishlist has been added. Happy early birthday! The Dragoness, your wishlist has been added. Happy early birthday! Pluviophillia, your wishlist has been updated. Happy early birthday! kittyrules203, your wishlist has been updated. Happy early birthday! IOU, your gift has been added. Thank you for gifting! Ellenai, your gift has been added. Thank you for gifting! DragonNighthowler, your wishlist has been added. Happy early birthday! munificent, your gift has been added. Thank you for gifting!